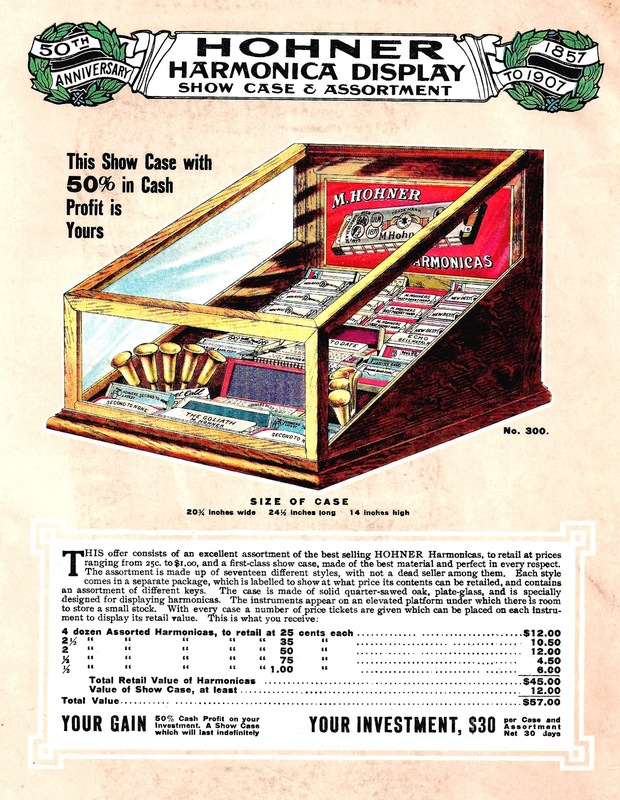 This vintage harmonica advertisement is from a 1919 manufacturing catalog and shows the beautiful display case for shop owners. 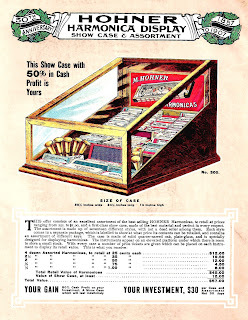 The detail of the harmonicas inside the case is awesome! You can read most of the labels. Enjoy!